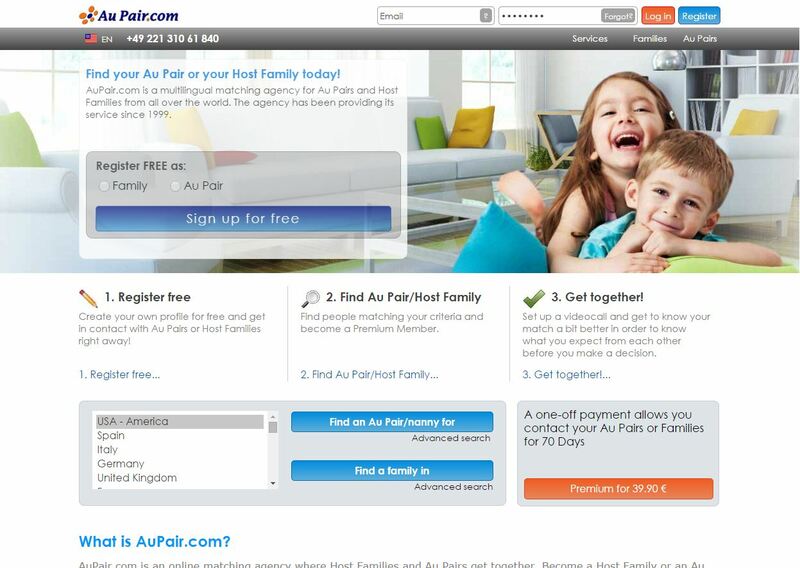 AuPair.com is an online matching agency which helps Au Pairs and host families to come together! After the registration you get the chance to insert a profile with your specific requirements, pictures, and child care experience. The registration ist completely free! Moreover, you can become a premium member which gives you many other great opportunities such as sending private messages, viewing released contact details shared by the host families or Au Pairs. Sounds good? Find more information by clicking on the picture.